How to remove background from images without Photoshop using this free online AI tool | AtomicTAG - Digital transformation in a box! 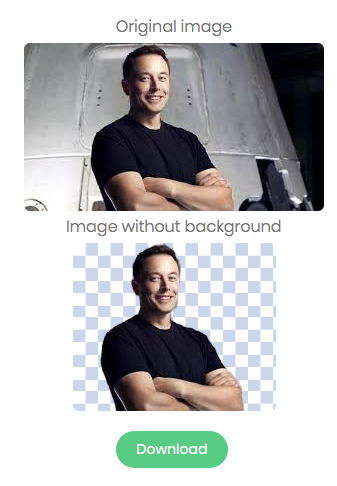 If you need to quickly remove the background of an image you know how it can be boring, even with access to software like Photoshop. Remove.bg is a single-purpose website that uses AI to do the job for you. Just upload any image and the site will automatically identify any people in it, cut around the foreground, and let you download a PNG of your subject with a transparent background. It's the latest example of how machine learning techniques that were once cutting-edge are being turned into simple consumer tools. In the case of removing an image's background, there are already a few open-source algorithms that can handle this particular task. Remove.bg Other similar tools include Deepart.io which applies the style of one image (like a painting) to another, and LetsEnhance.io, which uses AI to automatically upscale pictures.